Spring has sprung. For some, that means a beautiful season of bleating lambs and bees buzzing through blossoms. For others, it’s a nightmare of sniffing and wiping watery eyes. Hay fever sufferers, we hear you (literally… we can hear you sneezing from here). Here’s a few tips on how you can prepare for the hay fever season so you don’t have to lock yourself inside. With the temperatures starting to rise, air conditioner units in houses, workplaces and cars start going into overdrive. It’s a good idea to check the filters and keep them nice and clean, so you’re not pumping pollen and dust throughout your own area. If you tend to get sneezing attacks in the car, close your air vents or keep them pointed away from your face. Dry your clothes and sheets indoors. With all that pesky pollen floating around in the air, leaving your clothes outdoors to dry can lead to itchy skin and allergy symptoms. Keep them on the clothes horse in front of a sunny window, and they will be less likely to keep you scratching all day. Stock up at the chemist. 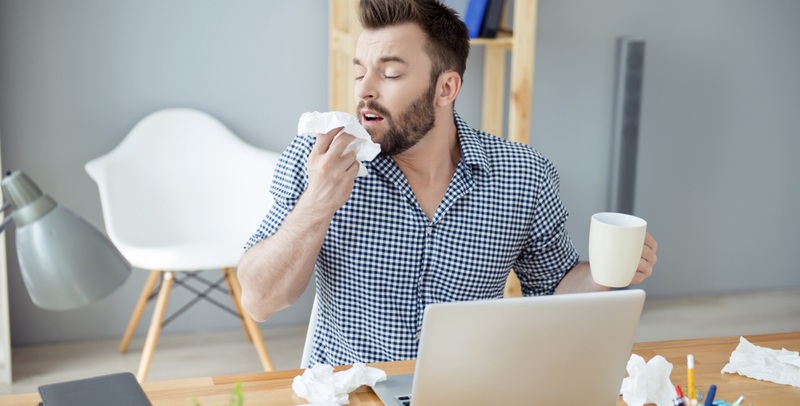 Anti-histamines and nasal sprays and a million different hay fever medications may be helpful, but there are also some natural remedies that might alleviate your symptoms. A tiny smear of Vaseline under your nose can stop pollen from entering the nasal passage. Saline solution for the eyes and for the nasal passage can also help. And from the supermarket, grab some honey, onion and garlic – all rumoured to help hay fever sufferers during peak season. Salt therapy is a natural therapy that may help relieve symptoms for hay fever sufferers. It’s certainly not a difficult process: sitting in a comfortable massage chair while dry pharmaceutical-grade salt is pumped through the air of the ‘salt cave’. Salt therapy may aid in clearing the lungs of pollens and allergens. Breathe in some relief this hay fever season with salt therapy, and keep the pollen spores at bay. Best of luck to our sneezy friends for a nice, clear, symptom-free spring. Salt therapy is a complementary therapy and is intended to be used alongside conventional medical treatment. Results may vary between clients and we recommend you discuss the use of salt therapy with your GP.